The Education Foundation has been annual recipient of is part of Zest's "Squeeze" program that provide's in-kind support to local charity and community based organizations each year. Zest has worked as an extension of the team for Executive Director Deborah Phelps since she assumed the position in 2012. The Education Foundation was originally founded in 1992. However, it had a rebirth in 2012. Our preliminary branding work aimed to bring a modern and refreshed feel to the organization while honoring its history. We kept the original word mark of the logo revamped the colors to unify them with the branding of the school system while creating a standalone mark that would represent the organization moving forward. The raised children's hands is to represent participation, advocacy, and a celebration of diversity within the community. The new brand colors were reflected in the logo, website, and all marketing collateral. Zest worked to develop a feeling of new energy through a number illustrations and imagery. This included some custom patterns for the Foundation using custom icons relating to education and learning. Icons used in the pattern are science, math, music, and art themed. Take a closer look to see what else is hiding in there. Zest completely rebuilt the website and leveraged it into a full digital media system to provide the desired user experience for various stakeholders. We told you there were pretty patterns in these pages. The hero area of the features the pattern (colors different on each page) and the title of the page. Content and images work together to information users of the website. The Foundation's Sponsors are featured on each Inner Page because those people are important and deserve some screen time. Zest created two slider templates for EDF to use on the website. What's Happening and Mission Moments. These templates are updated each month with new updates from the Foundation. In addition to the templates, Zest creates new slider graphics for each new event the Foundation is involved in or hosts. Check out the site to see what is going on this month. Zest used an all-time favorite, Proxima Nova, in the new website design for EDF. The clean, crisp letters display information easily for the user. Original EDF images from events are used throughout the website to show off the support and involvement with the community and schools. The newly established brand colors are also used throughout to create consistency with the brand. Zest integrated a full digital media system to develop a social media presence both technically and strategically capable of better carrying out the mission and message of the Foundation. Zest has worked with the Foundation to create multiple pieces of print collateral to get their mission out to more people. 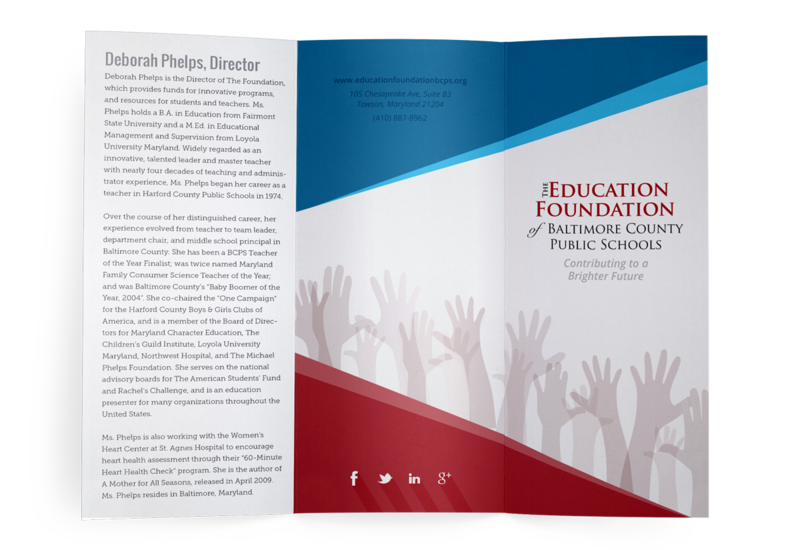 Over the past years, Zest has created everything from brochures to pop-up banners, all containing the Foundation's main mission: to attract and direct public financial contributions to programs and activities of the school system in support of quality education for all children. Tee Off is one of EDF's biggest annual events. For the past few years, Zest has worked to develop promotional and registration collateral for the event. Designs created don't stop at brochures. Zest helped to develop signage for the course including hole flags, golf cart signs, and reception banners. 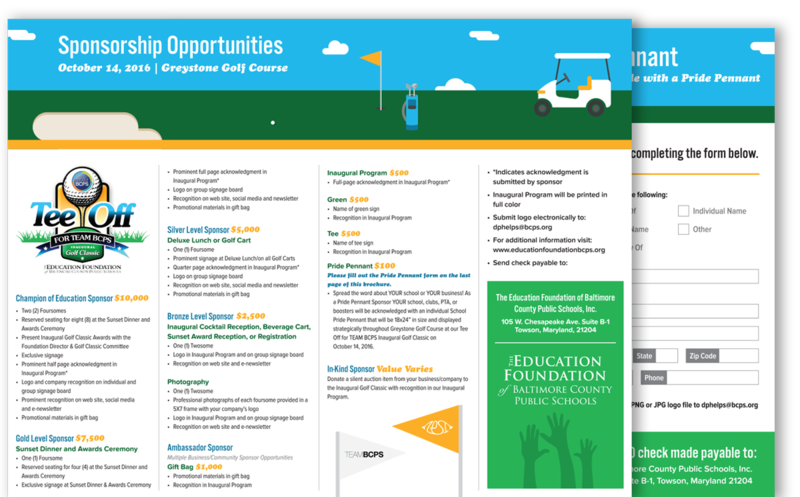 The Education Foundation offers Initiative Grants to educators around the area. Zest worked with the Grantees and EDF to hear where and how the grants were being used. The full video series features overviews of the Initiative Grants, Makerspace, and Support, as well as Grant Spotlight Videos of each Grantees. Check out the full video series on EDF's YouTube Channel right now! "Zest's support, advocacy and leadership has been absolutely instrumental for our evolution as an organization and our ability to have an impact in this community. We are eternally grateful for such a wonderful partner." Like What You're Seeing? Let's Chat! 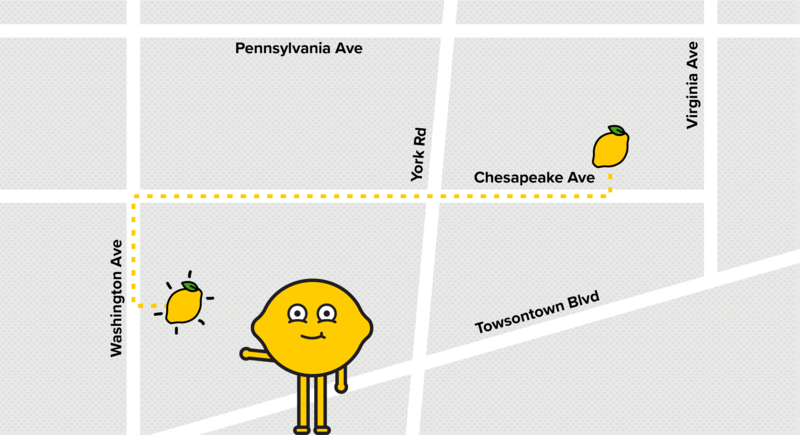 We would love to chat with you about how Zest can help boost your digital presence!